Farewell to Undre Arms: A public development process more than three years in the making will come to a head this month as the demolition of the Undre Arms Apartments is finally slated to begin. The fences went up at the site near the intersection of Madison, 12th and Union last week. Crews — a little wary after past shenanigans in the neighborhood — said the demolition likely won’t come for two more weeks but a check of the paperwork reveals the permits are in place. In the Undre Arms space is planned a six-story, mixed-use apartment building. Here’s a post CHS made about the project’s design review way back in August 2009. In July, CHS reported that the land and the approved project had been sold to a new developer and speculated that Alliance Realty — already active in the area at 1020 E Union — was behind the purchase. The Daily Journal of Commerce confirmed Alliance’s purchase here. Let’s give the apodment a try. If it’s true that nobody really wants to live there, then these kinds of projects will lose money, and nobody will build them anymore. If they succeed, then we’ve created some good, infill development for people who don’t have a lot of money to spend on rent and cars, but want to live in the heart of the city. And yes, if I could, I’d live in one myself. Microhousing design review: An “apodment”-style development steps into the public design arena this week. 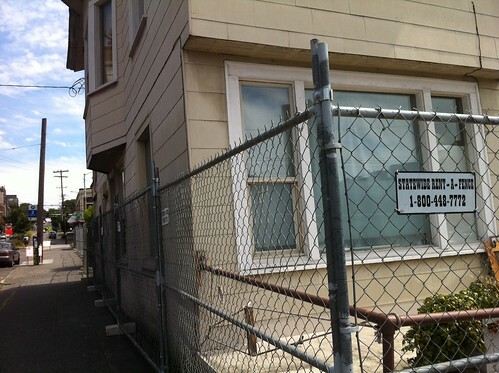 Our sister site Central District News has more on the project planned for 2202 E Olive St.
Julia Place Open House: Construction of microhousing of a different sort is completed and ready to show off on 22nd Ave E between John and Madison. Julia’s Place is a five-unit apartment building at 136 22nd Ave E. A public open house is slated for Sunday, August 19th from 1 to 4p. BelRoy project nears completion: The BelRoy Apartments project on Bellevue Ave E is wrapping up. CHS will visit the site soon and report back on the restoration and new construction. “Apodments” do have benefits for many neighborhoods, and shouldn’t be written off out of hand. A vibrant city neighborhood is one where people of a wide range of economic backgrounds come together. Apodments are a way to offer equal housing opportunity.